Well, the summer school holidays are upon us again so I'm afraid there will more than likely be more films about Evil Fluffy Bunnies than the Evil Dead the next few weeks, but still, we'll muddle through. It's the late 1800s and the title-less but nouveau riche Van Dort family have arranged the marriage of their son Victor (voiced by who else but Johnny Depp) to the cashless daughter of the Everglot family, Victoria (Emily Watson), who can provide the title and social boost they crave. 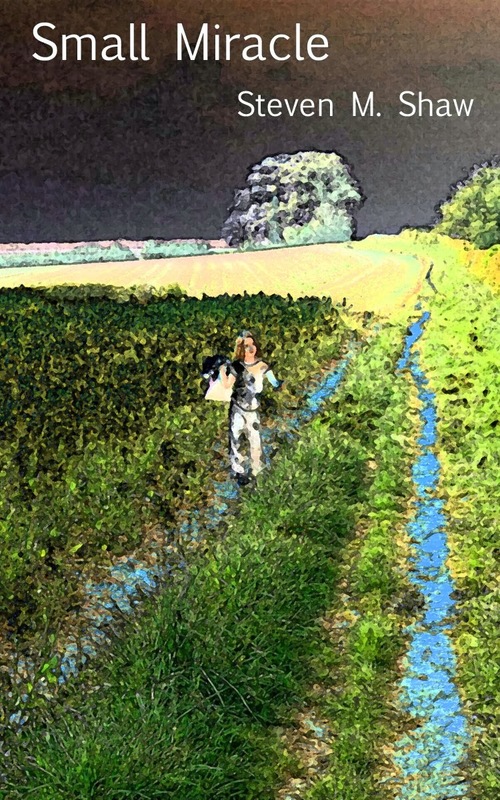 Causing calamity at the rehearsal but very enamoured by Emily, he escapes to the woods where practicing his vows he inadvertently places the wedding ring on the very dead finger of Emily (voiced by Helena Bonham Carter) which was protruding from her grave mistaken for a branch. 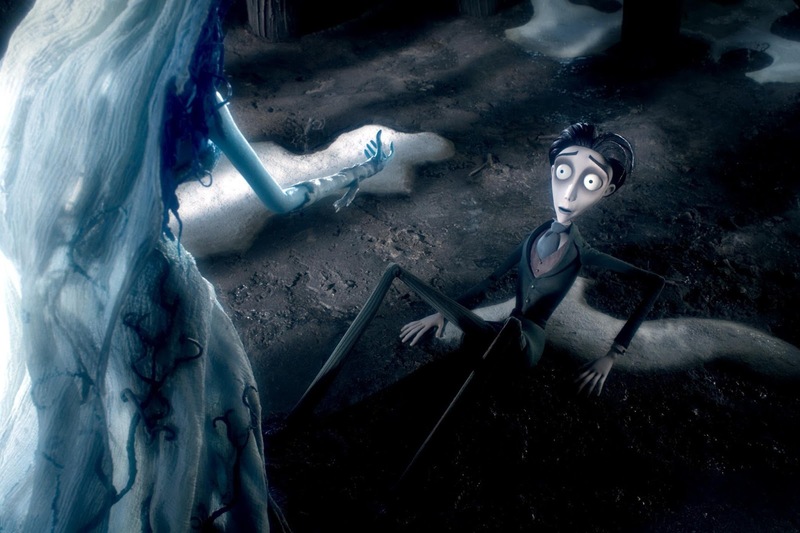 Loosely based on an old Jewish folk tale, Victor by completing the wedding ritual has actually betrothed himself to Emily, the corpse bride and an eternal unlife honeymoon in the land of the dead. Victorian England is a drab and miserable place and always displayed through a colourless monotone lens. The land of the dead however is colourful and vibrant, full of a motley assortment of skeletons, zombies and jazz. It really is quite the contrast and an interesting choice. If anything Burton has chosen to portray the characters in the land of the living as those that are actually doing anything of the sort. Overly burdened with money, rules and titles they've all lost sight of what is actually important and this is never more true when Victoria is quickly re-betrothed to the con-artist Lord Barkis Bitter (Richard E. Grant) at the first sign Victor might not come through. It's a children's film so there's usually an underlying moral message and I like this one, if it is in fact what was meant, it's a little deviant, a little un-respectful and totally anti-establishment. Is she a zombie and is this a zombie film? Well, she's definitely dead and reanimated but like many children zombie films she's still totally self aware, likeable and never once mentions wanting to eat anyone. She is however blue (a nod to Romero or at least the genre perhaps? ), she is missing some flesh on her arm and cheek and is maggot infested even if said maggot is her friendly companion who guides her conscience (Enn Reitel imitating the ubiquitous voice of Peter Lorre). 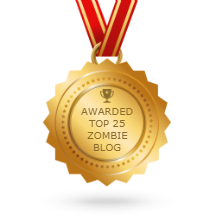 The undead are hotchpotch of walking, talking, music playing skeletons and zombies who all go about their business in the land of the dead with a smile on their faces and a certain amount of aplomb. There is the subtle suggestion they're here because they've left unfinished business though this is never explicitly expressed, but overall they're portrayed in such a way to suggest their colour and life has come from being freed from the superfluous burdens that come with living. 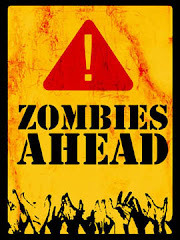 The dead do eventually get their chance to invade the land of the living and Burton does that tried and tested children's tease that the dead are going to go on a murderous rampage but pulls back at the last moment to reveal them as kind and cosy old relatives and more interested in being reunited with their loved ones than eating their brains. It's been done before but I still enjoyed it. 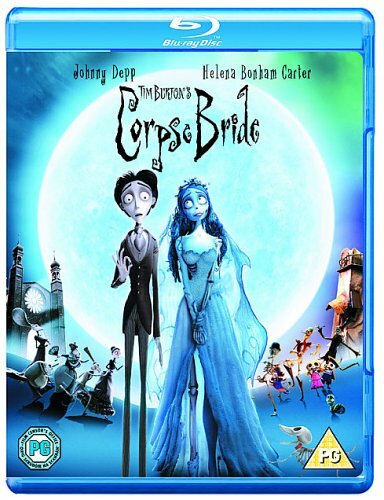 Corpse Bride is a fun, quickly dark humoured tale but maybe one for the slightly older child. Emily is not the perfect dead silhouette of her alive self, she really is a dead rotting corpse. Other denizens of the land of the dead have dangling eyeballs and unsymmetrical bones and faces that things can fall off, and skeletons are never perfectly white. In some ways this isn't an animated film for children with some appeal to adults but maybe an adult movie that has been filmed in such away to still be suitable for children. Either way Victors trips to the land of the dead are always full of imagination, fun and small subtle jokes and flourishes, but it knows never to go too far. Underlying all this is a beautiful score by Danny Elfman, great voice acting from well known actors, and some highly enjoyable musical interludes. Both a fantasy horror and moral reminder of what is really important Tim Burton's Corpse Bride is a magical yarn for both young and old and as with most stop motion films, it doesn't embellish or drag out scenes, to move along at a fast, but never forced pace. Ironically his drab portrayal of 19th century England is a little too authentic making for some dreary viewing in places but overall it's all more than made up for by the story being spun. 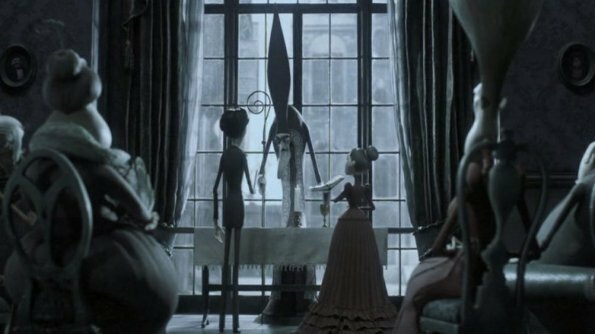 Dreamlike, eerie, with dark humour and depth this is another Tim Burton triumph, 7/10. If you haven't seen ParaNorman yet, you should check it out. I went in expecting not much, but was pleasantly surprised. 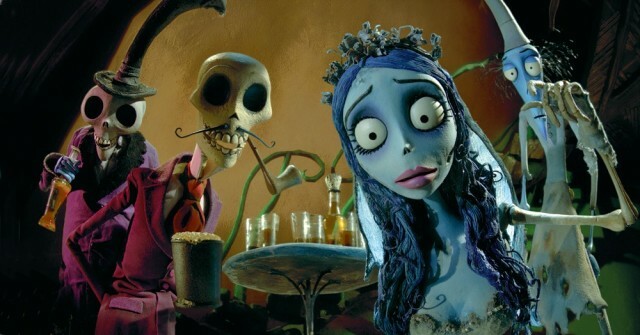 I hadn't even remembered that the Corpse Bride existed! I'll definitely need to check it out!